DISCLOSURE: THIS POST CONTAINS AFFILIATE LINKS WHICH MEANS THAT BACKCOUNTRY FOODIE LLC WILL RECEIVE A SMALL COMMISSION IF YOU CHOOSE TO PURCHASE A PRODUCT. THIS WILL OCCUR AT NO COST TO YOU AND SUPPORTS ONGOING RECIPE DEVELOPMENT. Is there anything more exciting than preparing for a trip to the mountains? I’d argue the mere potential of seeing wildlife and stepping foot in few places that others have wondered is reason enough to keep me coming back for more. In the same breath, I’d say there’s very little that produces as much anxiousness in me as the preparation involved with venturing into these remote places. I prefer Hormel chili for two reasons: (1) you can pick it up with 99% fat-free ground turkey. This is like dehydration-gold. 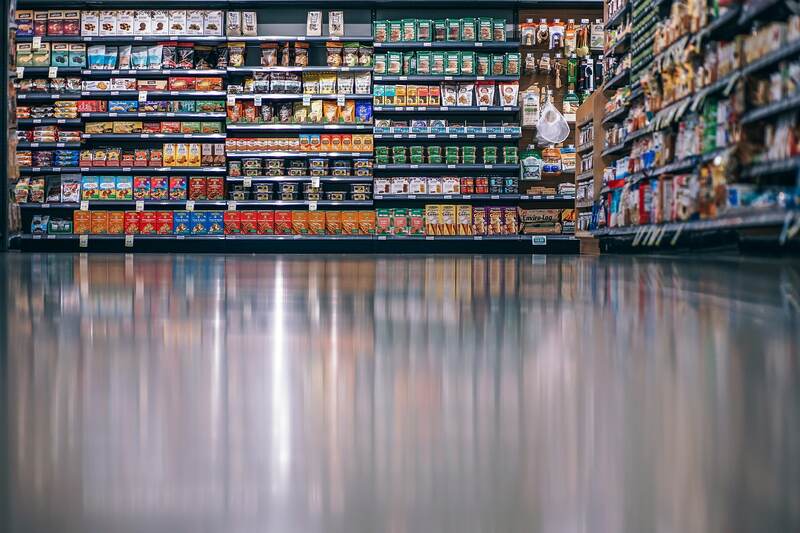 Other canned chili products you’ll find use a ground meat with high-fat content making the package prone to spoilage after dehydrated and stored. (2) You can get it with or without beans depending on how tolerant your camping buddy is of your flatulent choral ensemble in the middle of the night. And, if we’re honest; the smell from your sweat pits will be the last aroma you’re worried is chasing elk off. The one drawback to going chili sans-beans is trading in 20 grams of muscle fueling carbohydrate per can. You can offset this by throwing some rice in with the chili mix at camp. Google “Spaghettio” and you get nearly 600,000 results. No wonder we’re so confused by what to eat. Go for the plain version, there’s no need to over complicate this. One can of this stuff yields 10 grams of protein and a whopping 70 grams of rapid-digesting carbohydrates. Neither of these numbers is what you want to aim for at supper time with the family. However, when you’re in the mountains, this equates to fuel shoveled on top of a furnace burning white with heat. Consider adding in TVP (textured vegetable protein) to bolster the protein content of the meal. Unlike its aforementioned canned counterpart, the best part about dehydrating canned soups is the variety it offers without the mess of cooking. Canned soups generally have a reasonable carbohydrate-to-protein ratio and decent sodium content to replace whatever was lost via sweat, urine, and exhalation on your trip up the mountain. Maybe it’s the dietitian half of my brain, but I’m constantly looking for ways to add fiber and nutrients to backcountry meals. I think we’ve all probably experienced the results three days in the backcountry after munching on nothing but packaged foods with little fiber. Freeze-dried vegetables are a great addition to DIY meals, but the cost can add up rather quickly. A cheap, but little-known alternative, is to dehydrate frozen store-bought vegetables. The first (and essential) step is a quick “blanch” of the vegetables. Blanch is kitchen-speak for a rapid cook and cool process in which begin by bringing a pot of water to a boil. Place the desired vegetables in the boiling water for 2-3 minutes. Next, you’ll want to remove the vegetables from the water with a mesh strainer and insert the vegetables into a bowl of ice water to rapidly cool. This simply stops the rapid ripening of the vegetables by enzymes. Finally, you’ll end the process by dehydrating the vegetables as you would anything else and add them to meals as you see fit. I fully recognize cooking isn’t everyone’s forte and some would prefer to just take old slices of cheese pizza up the mountain than to cook a dinner. I also won’t be the first guy to argue that grabbing a few packaged meals off of the shelf is easy and cuts back on the amount of planning needed for a trip; however, I’d also argue that the simplicity and versatility offered by dehydrating already cooked meals make the process much more appealing to a lot of folks. Bon appetite! 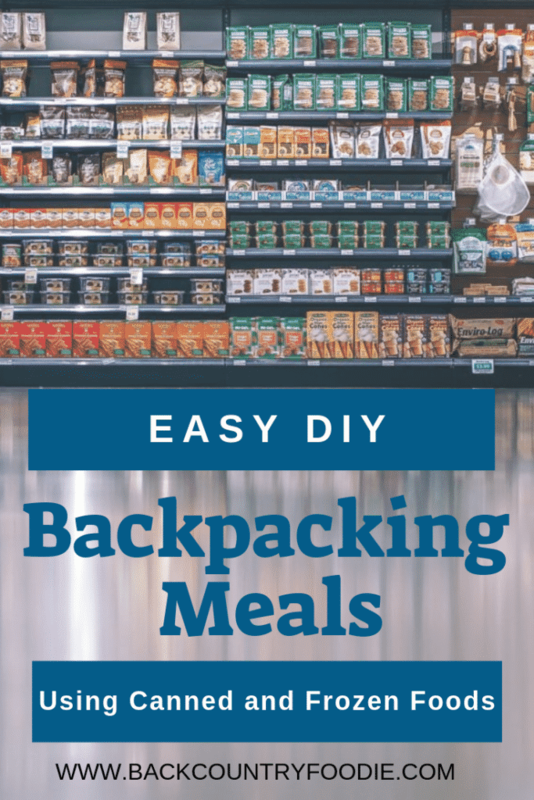 Here’s a great DIY backpacking meal with veggies! 1. Place all dry ingredients, seasoning, and bouillon in your stove or cooking pot once water is boiling and allow to cook until ingredients are fully cooked. About 10-15 minutes. 2. Drizzle with small amount of olive oil, salt, and pepper to taste. Check out this incredible Chocolate Hummus recipe that uses canned garbanzo beans. Yes, it really is a healthy treat! We recommend that you make two batches it’s so delicious. Enjoy! Our Pinterest page is also a great source of DIY backpacking breakfast, lunch, dinner, snack and dessert recipes. We also have boards dedicated to gluten-free, vegetarian and vegan backpacking recipes. Be sure to check it out! Disclaimer: This is general nutrition advice and you should talk with your physician before implementing any dietary or lifestyle changes. Always check nutrition labels and ingredient lists to make sure food items will work for you. 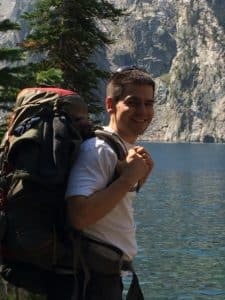 Kyle Kamp, RDN, LD is the owner of Valley to Peak Nutrition where he offers nutrition packages to help you lose weight in preparation for an upcoming season, or bulking up to prepare you for the demands of a backcountry hunt. He also offers a meal planning service to help map out some of the points discussed above along with other consultation services. Check out his personal story about weight loss and backcountry adventures. In the soup category, Cream of X soups don’t re-hydrate well, just stay as lumps, probably because of dairy products used.